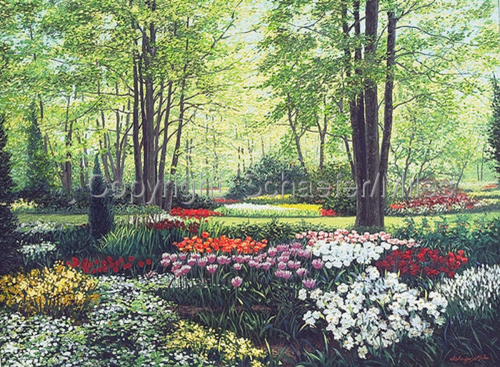 This limited edition fine art print is from their original oil, entitled "Keukenhof Gardens". The gardens are located near Amsterdam Holland, and are world renowned for their naturalistic bulb displays. Kevin and Wendy have dedicated many years to traveling and painting the worlds most beautiful gardens. This first of a series print was followed by more stunning images sure to delight art and garden lovers everywhere. Available as a Fine Art Print on paper and canvas.